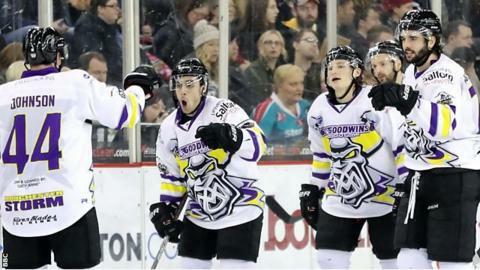 Elite League side Manchester Storm have been taken over by a consortium headed by Glasgow businessman Gordon Greig. Storm were disbanded in 2002 after financial problems, but returned to the top flight in 2015 when they replaced Hull Stingrays after their liquidation. The club finished ninth in their first season back and then eighth during the 2016-17 campaign. "I know that the new ownership is very determined to continue the excellent growth that we have shown."